Metrovagonmash, part of Transmashholding, has signed a new contract with Azerbaijan public transport company Bakı Metropoliteni. 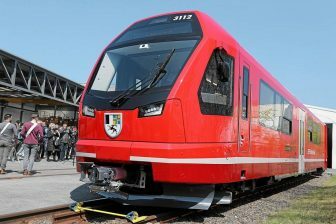 The Russian manufacturer will supply six five-car metro trains type 81-765.B/766.B to Baku. The first units will be delivered to the capital of Azerbaijan in the second quarter of this year. 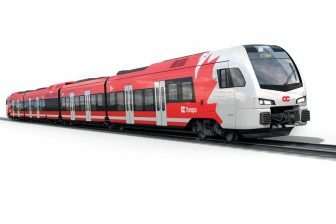 Each trainset will consist of two power cars and three intermediate cars. The 81-765.B/766.B units will be equipped with a new lighting system that warns passengers on the opening and closing of doors. New technical solutions allow saving up to 35 per cent of electricity. The metro coaches will have a good sound and heat insulation. An air-conditioning system and sockets for charging electronic devices will be installed inside the coaches. The entire order will be completed by the year’s end. The new deal is the third contract between Metrovagonmash and Bakı Metropoliteni company in the last four year. 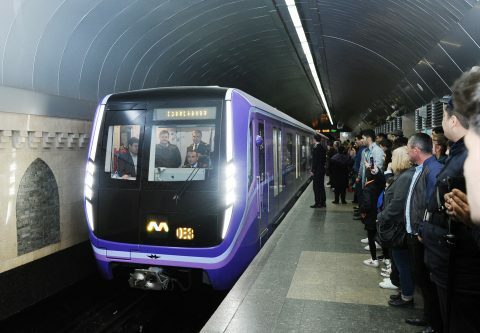 The first units of type 81-765.B/766.B started running in Baku metro in 2018, when the Russian manufacturer delivered two five-car trainsets. In 2015, Metrovagonmash supplied three five-car units of another type, 81-760.B/761.B/763.B. 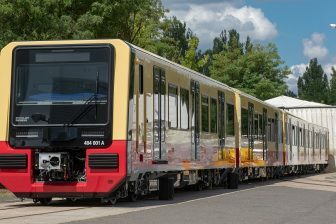 They were constructed together with French producer Alstom. Besides these trains, Bakı Metropoliteni operates around 300 coaches manufactured by Metrovagonmash (then Mytishchi Machine Works) in the Soviet period.